WALTHAM, MA | Education Development Center (EDC), a global health and education nonprofit organization, has appointed Ciara Burnham and David Byer to its board of trustees. EDC President David Offensend announced the new trustees following their confirmations at a recent meeting of EDC’s board. 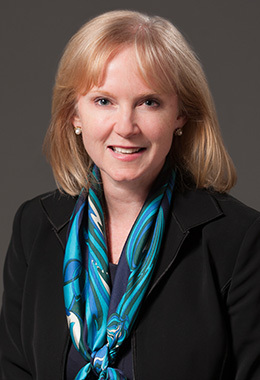 Ciara Burnham is a senior managing director of Evercore, with more than 20 years of experience in investment banking advisory services and investment management. She has worked broadly across Evercore’s businesses, having joined the firm shortly after its inception. Most recently, she served as the CEO of Evercore Trust, a nationally chartered trust bank with over $50 billion in assets. Previously, Burnham was responsible for strategy and corporate development, leading initiatives that included launching new lines of business, executing acquisitions, raising capital, and developing the international platform. Prior to these, Burnham was an equity research analyst with Sanford C. Bernstein & Co., and a consultant with McKinsey. She is a member of the board of the international dance company Pilobolus, the Dean’s Advisory Council of Princeton University, and the New York Women’s Forum. During 2018, Burnham will be in residence at Stanford University as a Fellow in the Distinguished Careers Institute. She received an AB from Princeton University and an MBA from Columbia Business School. “We are delighted to have Ciara join EDC, where her strategic planning and business development acumen will be of enormous value as we continue to expand our reach and impact,” said Offensend. Also confirmed was David Byer, an education policy specialist who works very closely with thought leaders and organizations in the education, technology, and policymaking communities. Byer has served as executive director of the U.S. Web-based Education Commission and vice president of government affairs for the Software and Information Industry Association. 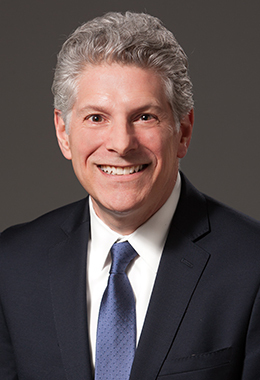 He has held positions with the American Society for Training and Development, National School Boards Association (NSBA), and National Association of College and University Business Officers. He began his career as an assistant to U.S. Senator Claiborne Pell of Rhode Island. Byer is a founder and former board member of the National Coalition for Technology in Education and Training (NCTET), which presented him with its inaugural NCTET Founders Award in 2017. Byer has also served on the boards of the International Society for Technology in Education (ISTE), the National School Boards Association Foundation, Association of Career and Technical Education Foundation, and Partnership for 21st Century Skills. He holds a BA and an MBA from the George Washington University. “It will be terrific to have David helping EDC. He lives at the frontier where education, technology, and policy meet—all of which are critical to EDC’s future success. I’m sure he will help us strengthen our efforts to share what we are learning with decision makers at all levels,” said Offensend. Brief biographical sketches of the other members of the EDC Board of Trustees are available here. Education Development Center (EDC) is a global nonprofit that advances lasting solutions to improve education, promote health, and expand economic opportunity. Since 1958, we have been a leader in designing, implementing, and evaluating powerful and innovative programs in more than 80 countries around the world. Visit www.edc.org.